Designed to take the strain off manual stacking and destacking operations. 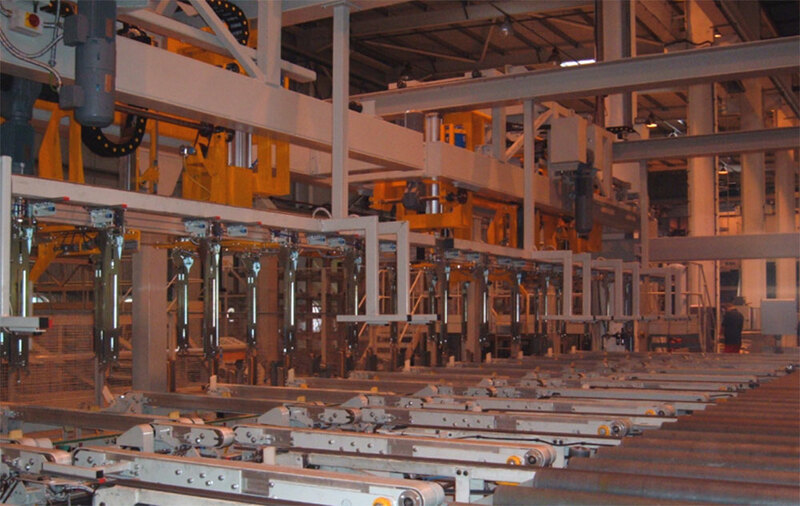 Reduced labour costs thanks to saving up to 4 to 6 operators per day for stacking at the saw. Advantages for elimination of heavy duty / strain inducing work usually involved in manual stacking operations especially for often long and heavy profiles. Improved safety for long and heavy profiles with less risk of accidents. Reduced manhandling of profiles implies higher quality thanks to reduced risk of marking or scuffling the product. Possibility of no-contact stacking between one layer and the successive one. Possibility to optimize filling and stack more than one order in a single basket. 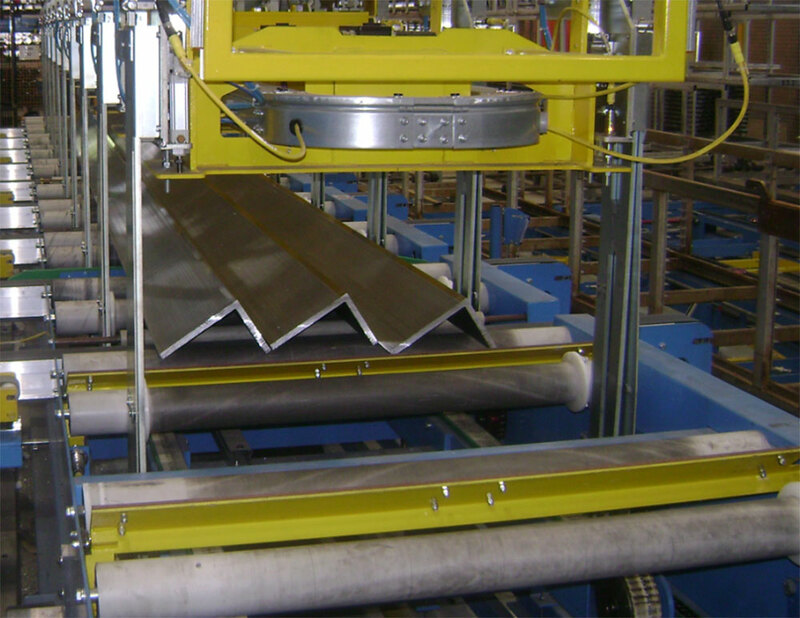 Possibility to use one profile de-stacker for up to 3 packing lines. The longer and heavier the profile - the more justified the investment in automation - especially for stacking and de-stacking operations.